4k00:07PARIS, FRANCE - CIRCA MAY 2015: Seine river and Eiffel tower, time-lapse in motion, hyperlapse. 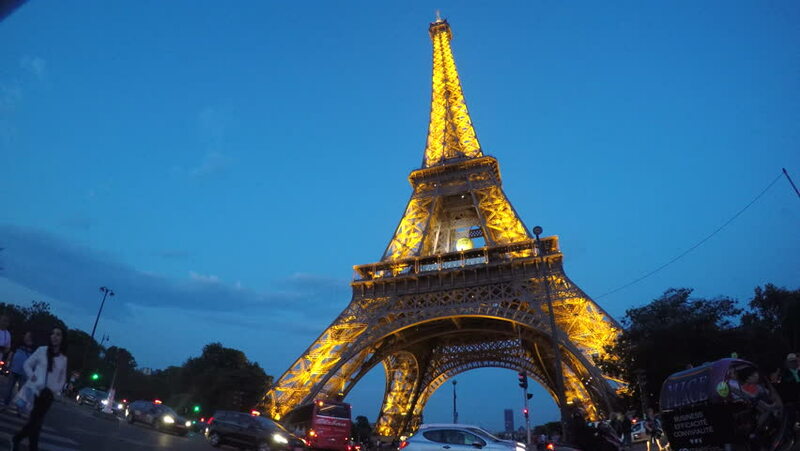 Eiffel tower is symbol of Paris and France. 4k00:19PARIS, FRANCE - May 04, 2016 : 4k footage of illuminated Eiffel Tower Paris, France. A Passing boat with tourists with mobiles in their hans shooing Eiffel tower.